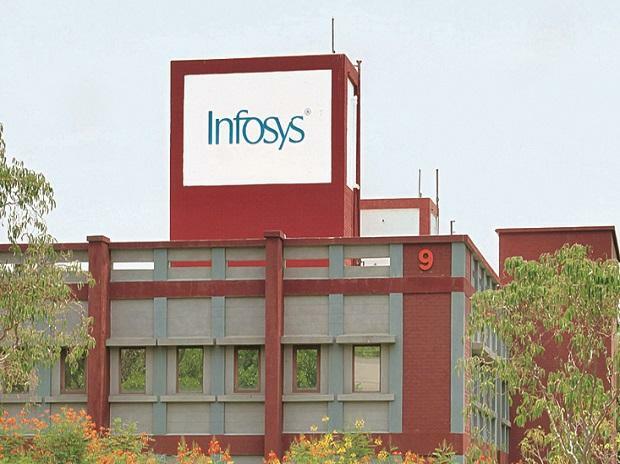 The six-month buyback offer of Infosys commenced on March 20, 2019. The company had, on January 11, 2019, announced buyback of shares worth up to Rs 8,260 crore at Rs 800 per share. The company said it would buy back 103.25 million equity shares, which accounts for 2.36 per cent of the paid-up capital of the company as of December 31, 2018 (on a standalone basis). The IT major decided to go ahead with the buyback after considering the strategic and operational cash requirements of the company in the medium term and "for returning surplus funds to the members in an effective and efficient manner". The firm said it will announce the results for its fourth quarter and year ended March 31, 2019, on Friday, April 12, 2019, around 3:45 p.m.
Analysts at JP Morgan expect Infosys to guide for 8-10 per cent CC growth & EBIT (earnings before interest and tax) margin of 21-23 per cent for FY20 (down around 100 bps Y/Y). “Infosys appears to be settling down well with new management in place. The demand environment that we see improving in FY19 provides a comfortable context for the new management team to get down to work. In FY19, most verticals for Infosys, especially the key verticals (such BFSI, retail and manufacturing), seem to be in better shape. In fact, Infosys is confident of a better show in Banking & Financial Services in FY19 vs FY18 citing increased digital spending and further penetration into regional banks,” the brokerage firm said in March 26, 2019 report. The stock, however, is trading above 12-month target price of Rs 750 per share. At 01:40 pm, Infosys was up 1 per cent at Rs 762 on the BSE, as compared to 0.41 per cent rise in the S&P BSE Sensex. A combined 5.51 million equity shares have changed hands on the counter on the BSE and NSE so far.